Dr. Kelvin Chew is a graduate of the Royal College of Surgeons in Ireland. He earned a Masters in Sports Medicine and Exercise Science from the University of New South Wales in Australia. Since then, he had gone on to complete his sports medicine fellowship at the Stanford University Medical Centre in the United States. Upon return, he went on to head the Sports Medicine Centre at Alexandra Hospital. 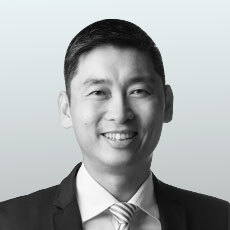 He is now the Medical Director and Senior Consultant Sports Physician at Changi Sports Medicine Centre, and Senior Consultant at Singapore Sports Medicine Centre. Dr. Chew oversees all research activities in the Department. His wide interest in musculoskeletal conditions has led him to complete numerous research publications in musculoskeletal diagnostics, clinical conditions and disease management. He is a Duke-NUS supervisor for medical students and a Clinical Lecturer for Yong Loo Lin School of Medicine. He is also an Adjunct Associate Professor at NTU Lee Kong Chian School of Medicine. Dr. Chew’s passion for sports in Singapore extends to his involvement in major sporting events and teams. He has served as team physician for the Singapore national rugby team and as medical director for events such as the Standard Chartered Singapore Marathon, Singapore Rugby Sevens. Dr. Chew volunteers for Special Olympics Singapore as an ex-co member and chairman of the Healthy Athletes Programme. Dr. Chew has been the Chief Medical Officer for the FORMULA 1™ Singapore Grand Prix since 2008 till present. He is the Chairman of the Singapore Motorsport Association Medical Commission, and a member of the FIA (Federation Internationale de L’Automobile) Medical Commission. He has been the past President of the Sports Medicine Association Singapore from 2010-2012.